An apparent iPhone 8 photo straight out of Foxconn has confirmed one of our biggest fears for Touch ID: It will be relocated to the back of the device. Apple has been working to embed its fingerprint scanner into the iPhone’s display, but it seems the technology won’t be ready in time for this year’s big refresh. A number of iPhone 8 leaks have suggested that Touch ID could be relocated to the back of the device, with no room for a physical Home button on its front — thanks to a larger edge-to-edge display. Now that’s been all but confirmed by this leaked photo. 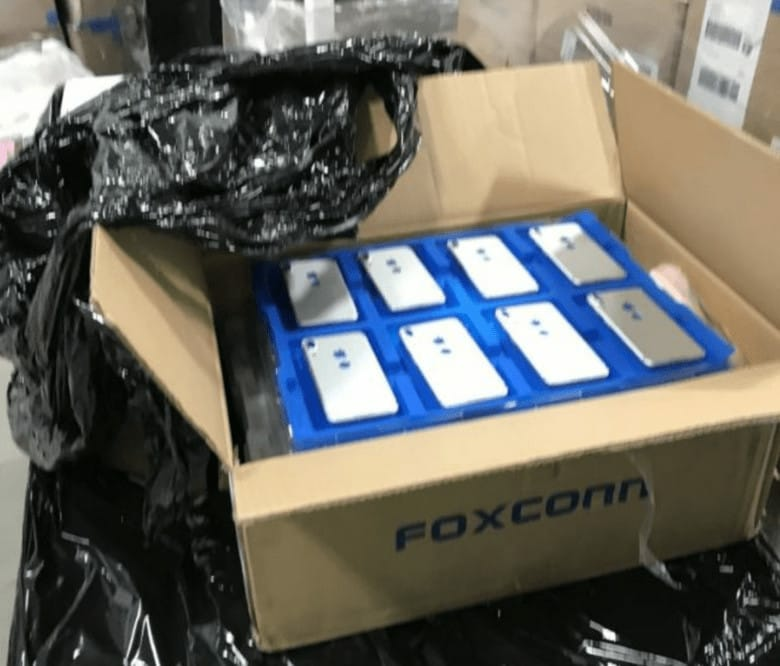 Published on a Chinese forum, the image shows a bunch of iPhone 8 unibodies in Foxconn packaging. Beneath the Apple logo, a circular cutout, which will almost certainly hold a fingerprint scanner, can be seen. We also get a glimpse at its dual camera lens. If indeed this image is genuine — and it’s a big “if” — then Touch ID will have a temporary home on the back of the iPhone until Apple and its partners work out how to produce fingerprint-scanning displays in large quantities. But don’t be too disappointed. It’s not the worst place for a fingerprint scanner to be, since you already place your hands on the back of your phone when you use it. Those who have used Android phones with rear-facing scanners will tell you they’re not so bad. At least the scanner won’t be difficult to reach like that on the Galaxy S8 — and there will be another security option. The iPhone 8 is expected to deliver Apple’s first facial recognition feature, and sources say it’s going to be stellar. Bloomberg’s Mark Gurman, citing “people inside Apple,” says that “Face ID” is quicker, more secure, and more accurate than Touch ID.